WARSAW – All is quiet this week at Hire Park, but this weekend it will be rockin’ and rollin’ as the Race For Life will get going, bringing a ton of BMX action to Warsaw. Experienced and inexperienced riders alike are encouraged to participate. It’s not a normal weekend of racing. While the bikes and ambitions on the track will be the same – that never changes when competition is on the line – the initiatives off the track are much more important, and needed. 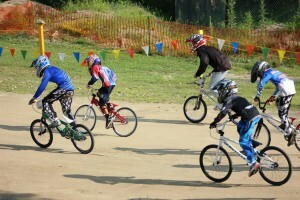 The Race For Life is designed by USA BMX, the governing body that oversees the organization at Hire Park. 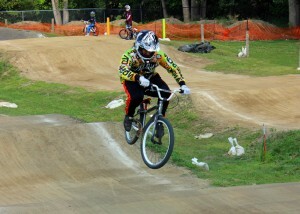 The project began back in 1981 when BMX rider Todd Kingsbury developed Leukemia. The idea was to hold a “Race For Life” for Kingsbury, and over 130 parks around the country did so to help his fight. Ever since, USA BMX has grown the event nationwide and helped raise thousands of dollars for the Leukemia and Lymphoma Society. Racing for the Race For Life begins at 1:30 p.m. Saturday. Dan Rumple, coordinator at Hire Park, is proud to again sponsor the event, which the park has done since 2011. Riders looking to participate in the event this Saturday are asked to take donations from anyone or anywhere they can. The totals are then brought to the park Saturday where a final tally is taken, as well as added in with what is donated at the gate. Riders then take part in normal points races as part of the season series, but the point totals are doubled. Donations can also be made after the event. Rumple added that anyone can ride in the Race For Life, no riding license is required. Whether a pro, a novice or no experience at all, first-timers or all-timers. Registration for the Race For Life begins at noon Saturday until 1:30 p.m. with racing immediately following registration. 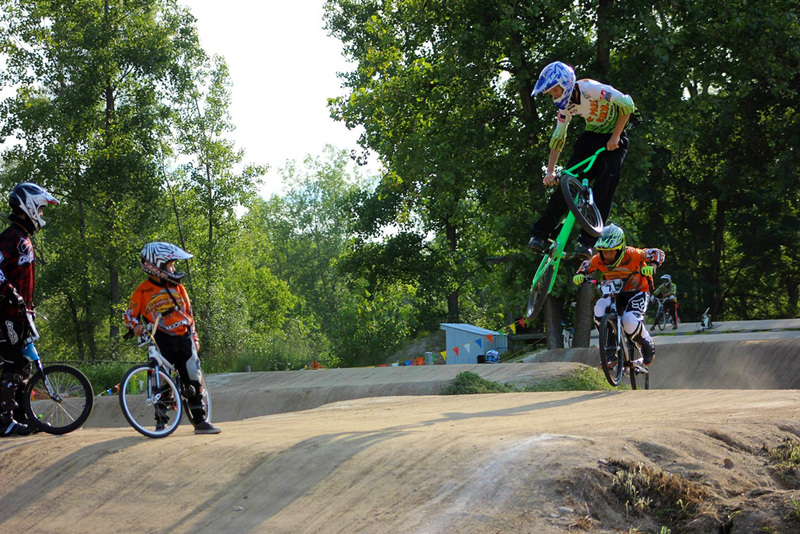 For more information, visit www.hireparkbmx.com or contact Rumple at (574) 268-7433.